Cordyline australis (New Zealand cabbage tree) is a small tree-like plant (family Liliaceae) whose known distribution in California is limited to two infestations in coniferous forests of Salt Point State Park in Sonoma County and Redwood National Park in Humboldt County. 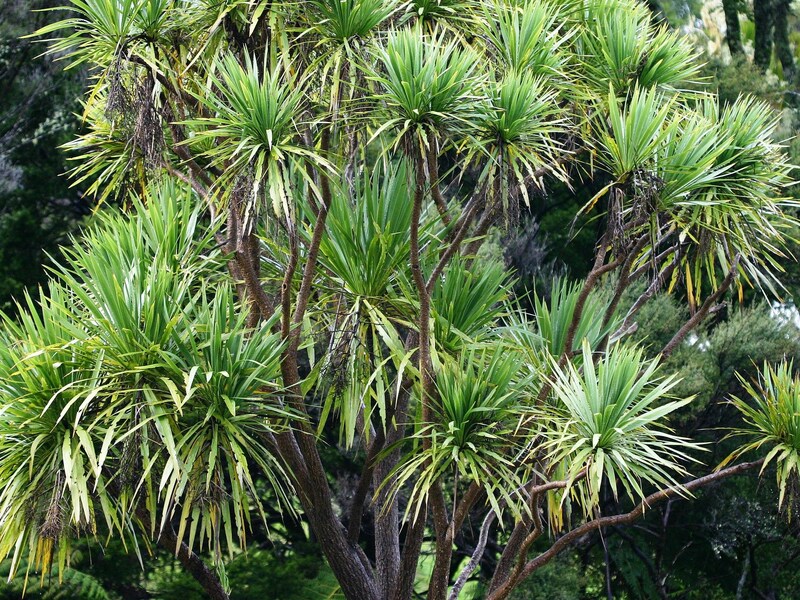 New Zealand cabbage tree grows in moist, cool climates in the forest understory. It was originally brought to California for use as a landscape ornamental, but is has escaped to invade both disturbed areas and undisturbed wildlands. The tree’s seeds are contained in blue or bluish-white berries that are distributed by birds. The two known infestations are spreading, but the species does not appear to be aggressively invasive.